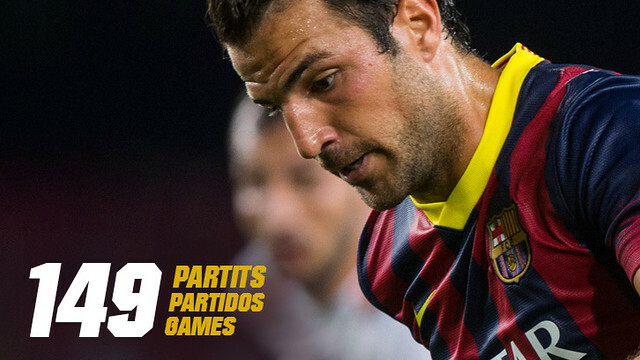 On Saturday, Cesc Fàbregas could make it to fifty games for FC Barcelona. Since joining the club in the summer of 2011, he has played in 149 games, and if picked this weekend his 150th would be the crucial game away to Elche, where a win would keep FCB on course for a fifth league title in six years. That would be the former Arsenal man’s eighth title since re-joining his boyhood club. In these 149 games he has scored an impressive 42 goals. These have been spread as follows: 28 in La Liga, 9 in the Spanish Cup, 3 in the Champions League, and one each in the Spanish and European Supercups. He has had one hat-trick and has scored twice in the same game on six occasions, including the 5,500th goal in club history. These games have ended in 106 wins, 27 draws and 16 defeats. But there is some risk involved in Cesc playing his 150th game this weekend, for he is one yellow card away from being suspended. If he is cautioned at Elche, then he’ll have to sit out the season finale against Atlético Madrid at the Camp Nou.